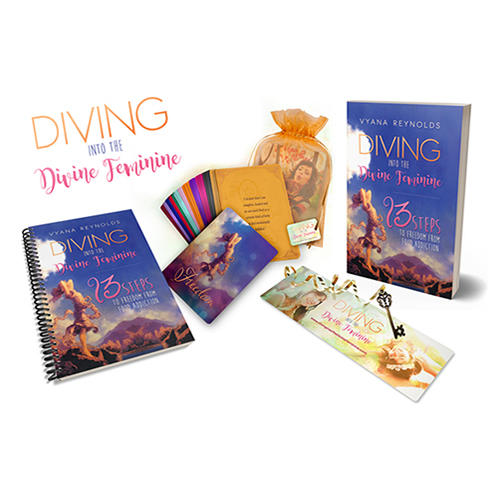 These daily affirmation cards follow the program set forth in the book, “Diving Into the Divine Feminine: 13 Steps to Freedom from Food Addiction” by Vyana Reynolds. 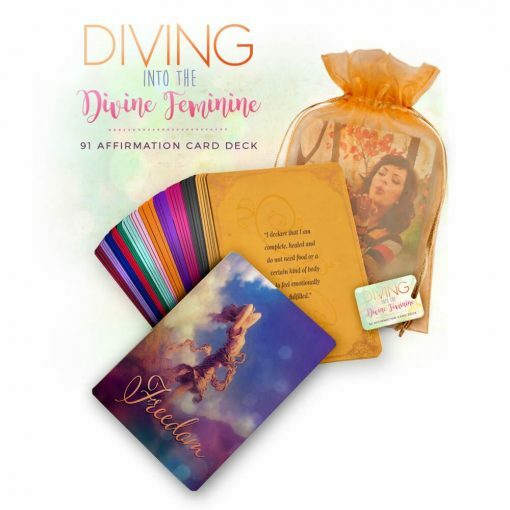 These cards will support and inspire you to keep your affirmations top of mind all day. Refocus our attention on creating a life we love. The result is that our obsession with food and body image falls away naturally. May you be FREE!